I love these birds. They’re small but braver than their size suggests. You find them on beaches, including the largest, wildest and stormiest. There will usually be two of them, but sometimes more (including offspring). As you walk along the beach, they will walk away from you, which is how they avoid you but also lead you away from their nest. After a little while, they will fly back around you, and, if nesting, check their nest (but only when you’re not obviously watching). The nest is found above the high tide line, in the sand, shingle or dune-edges. Try not to walk close to dunes, especially if you see them wandering about the beach. Walk below the high tide line, as they are smart enough not to nest there. These two were on Roaring Beach on the Tasman Peninsula. I saw them there earlier in the year, and very recently went back to try to photograph them with the new lens. They were still about, and led me up and down the beach, dutifully protecting a nest. I also attempted to get them votes in the Guardian’s Australian Bird of the Year award. They didn’t win, but I still think they’re the pluckiest little birds in the book*. There’s a problem with the naming of this bird – “they” seem to have changed their name to Thinornis cucullatus, and there are two sub-species. 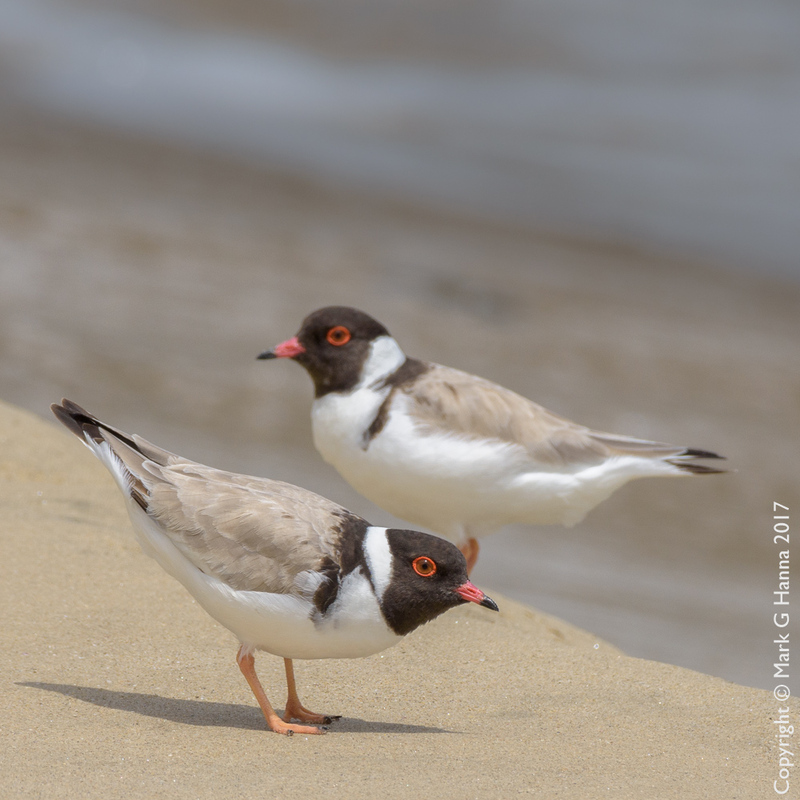 In addition, of course, they’re also known as the Hooded Dotterel, and there's a lengthy online article explaining why they are NOT dotterels. *So, what book? Well, it’s Watt’s Standard Book of Tasmanian Birds**, the unexpurgated version, with the Gannet*** (Australasian). **Ok, really it’s the Field Guide to Tasmanian Birds by Dave Watts. Buy one, it’s great!